Hyaloclastites are volcaniclastic rocks generated by non-explosive granulation of volcanic glass which takes place when basaltic magmas are quenched by contact with water; hyaloclastites are common products of deep submarine basaltic central volcanoes (seamounts and guyots). 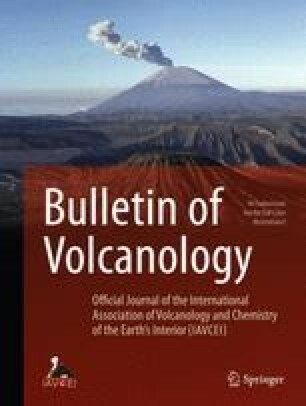 We suggested (Honnorlz, 1966) calling hyalotuffs the actual pyroclastic rocks which are generated by phreatomagmatic and phreatic explosions taking place when basaltic volcanoes crupt in shallow waters; hyalotuffs are restricted to shallow subaqueous conditions since no volcanic explosion can occur in deep seas. The distinction between hyaloclastites and hyalotuffs is therefore a useful tool when reconstructing the paleogeography of ancient submarine volcanic edifices and the mechanism by which their lavas were emplaced. We propose using two sets of morphometric parameters to discriminate the hyaloclastites from the hyalotuffs. The granules making up these two volcaniclastic rock types plot in different areas of either 1) a ternary diagram the apexes of which represent the grain planarity (P), convexity (V) and concavity (C) % («roundness» according to Szadeczky-Kardoss); or 2) a binary diagram relating the number of grain corners (N) to their planarity (P) %.